NEW YORK (CNNMoney) — The Trump administration is taking its fight for American trade to the market for Spanish olives. The U.S. Department of Commerce said Thursday that it’s launching investigations into whether Spanish olive producers are violating fair trade laws. Investigators are concerned that the foreign producers are “dumping” olives into the U.S. — meaning Spanish olives are selling in the United States for less than they would sell for in Spain. That goes against laws that seek to protect American producers from being unfairly undercut by outside competition. It’s not a big market: About $70.9 million worth of Spanish olives were imported to the United States last year, according to the Commerce Department. Officials are working to determine whether olive dumping is taking place, and whether “olive producers in Spain are receiving alleged unfair subsidies,” the department said. According to Commerce, the petitioner is the Coalition for Fair Trade in Ripe Olives, whose members are Bell-Carter Foods and Musco Family Olive Co. Bell-Carter CEO Tim Carter said in a June press release that “dumped and subsidized Spanish ripe olives are severely impacting” his business. He added that when the American olive industry was at its peak, there were 20 olive processors and 1,100 growers, but today there’s only two processors and 890 growers. Felix Musco, CEO of Musco Family Olive Co., has called the olive industry’s decline “painful.” “Our ripe olive industry takes great pride in the industry it created, the high quality of its product, and the thousands of workers and families the industry supports. Without import relief, all of this is at risk,” he said in a June statement. 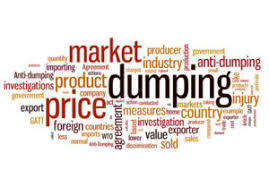 If wrongdoing is found, and if the International Trade Commission determines that U.S. producers were harmed, the Commerce Department promised it “will act swiftly to halt any unfair trade practices,” Commerce Secretary Wilbur Ross said in a statement. Specifically, the U.S. government plans to impose taxes on Spanish olive imports “in the amount of dumping and/or unfair subsidization found to exist.” Bell-Carter and Musco have suggested those tariffs should be between 78% and a whopping 223%. 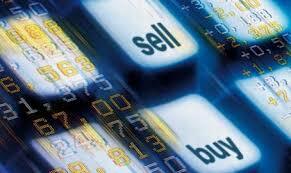 The Commerce Department said it plans to have the first round of preliminary investigation results by later this year. The move marks the 51st fair trade investigation that the administration has launched since President Trump took office in January, the Commerce Department said. One of those probes seeks to uncover illegal steel trading. Trump doubled down Thursday on his threats to slap a hefty tariff on steel, citing “dumping” concerns. As Trump steps up his tough actions to protect U.S. producers, some economists and business people are worried about possible retaliation from other countries. A report earlier this month by the Centre for Economic Policy Research, which is based in London, suggested that America’s biggest trade partners have taken far fewer protectionist measures against U.S. business so far this year. 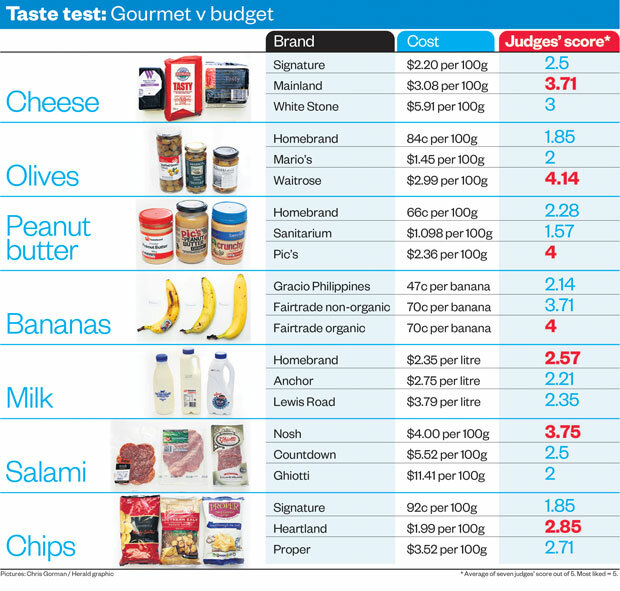 Is gourmet food worth the extra dollar? When it comes to “party” food, such as salami or olives, many might like to pay the extra few dollars to get added flavour and better quality. But when it comes to the bare essentials, budget food such as milk might taste just as good, if not better, than its gourmet rival. This week the Weekend Herald put gourmet food to the test against budget counterparts as a group of discerning food-lovers – including a Ponsonby chef – took part in a blind tasting. The seven-strong team tried a combination of essential foods and “party” foods – milk, olives, cheese, chips, salami, bananas and peanut butter. Comparing budget, mid-range and high-end foods the tasters sampled food from each category while blindfolded. Without the packaging and brand-name hype, they were able to judge food based solely on taste – with no distractions. “More crumbly [than the other contestants] and lots of flavour”, according to Herald’s Bite food editor Jo Elwin. Ponsonby chef Dean agreed with the top spot, grading it a four out of five and describing it as “vintagey”. olives valued at $8.99 for 300g. Lattakia – Director of Agriculture Directorate in the coastal province of Lattakia, Munzir Kheir Beik, estimated the olive production expected for the current season at 63,000 tons, compared to 173,000 tons last season. He attributed the decline in production to the rains and high humidity that prevailed in the period of efflorescence. 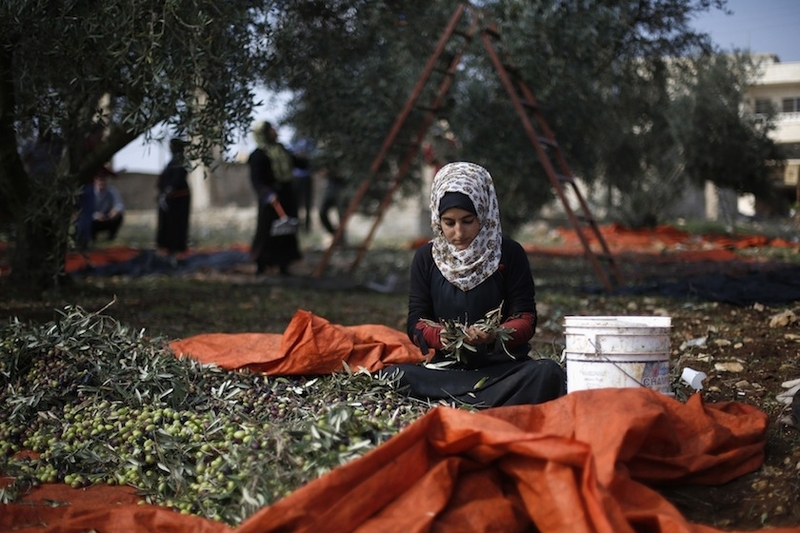 Kheir Beik pointed out that the area of land planted with olive trees is 49,848 hectares, while 178,072 olive plants were produced this season, with an increase of 2000 plants according to the plant production plan. INOLIVIA|Which is your favorite stuffing in pitted Green Olives?